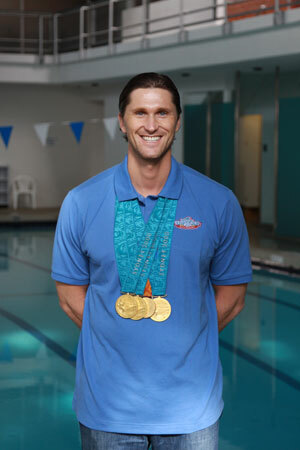 Established in 2005 by the Olympian Lenny Krayzelburg, the mission of the swim academy is to teach and inspire children to be water safe. By using its uniquely developed SwimRight Method, the Lenny Krayzelburg Swim Academy does just that. In 2009, HKC brought the Swim Academy to Staten Island. 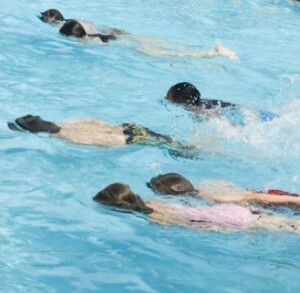 The SwimRight Method uses the swim-float-swim technique as its foundation. 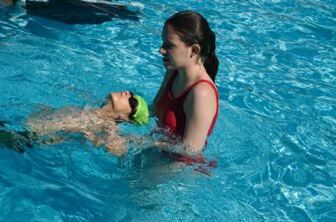 • The SwimRight Method focuses on providing children with the knowledge of confidence and safety in and around the water. • All the students are first taught to instinctually roll over onto their backs to breathe. which only makes them tired. In teaching children to be water safe, the SwimRight Method also incorporates motivational tools along the way to inspire the children and make learning fun. • All the children receive their own swim books to help them keep track of all the skills they learn, their goals, their accomplishments, and their achievements throughout the program. • The children receive stickers for each skill they have learned and receive color appropriate ribbons as they attain new levels. • Within each level the children learn separate skills and are taught to combine their knowledge to help them in survival situations. • With survival tests we provide both parents and swimmer the confidence of knowing that they can survive in a real-life situation. Best known for sweeping the backstroke events at the 2000 Sydney Olympic Games and his participation on the gold medal winning relay team at the 2004 Athens games, Lenny Krayzelburg has also been a participant in the world of Jewish sports, competing at the World Maccabiah Games multiple times. In 2001 he was a world champion at the Israel games and was the U.S. flag bearer at the 2001 and 2005 games. It was while training for the 2004 Olympics that Lenny was inspired to open a swim academy. Watching the children learning to swim at the pool he was training in and seeing the impact it had on their lives motivated him to become involved.